From Mike's Facebook page: "Looking out of the window in Pauline’s Hospital room at a small bushfire on the other side of the freeway. We had expected her to be home last Friday but it keeps being pushed back. Now it is “hopefully “ tomorrow, if her Methotrexate level is low enough. It also looks as though she will be getting a unit of blood as her red cells are not recovering quickly enough. All in all a very frustrating time for both of us, but Pauline in particular." I am FB friends with Mike and am hoping that Bath City FC and many of us could send get well wishes - https://www.facebook.com/michael.denton.9250?ref=br_rs - to him for Pauline. I still remember Southern League giant killers Bath City (Mike Denton) 2 Football League Newport County 0 1st Round Proper FA Cup game,13 November 1965. In those days rattles and pitch invasions were the norm. Thanks Beau Nash for this. I don't do Facebook but I think it's a nice suggestion to make. WP: What is the greatest goal you have ever scored? MD: I’m not sure about the greatest, but the most memorable is probably from my time at Bath City in England. It was on November 13, 1965, and it was my second goal against Newport County in the FA Cup First Round, when I took the ball over half the length of the field to score and complete a 2-0 win. Looking at the picture in that post of the Newport County match, can we identify the other City players? Could that be Tony Gough-y? And how long did the stripeless strip last? 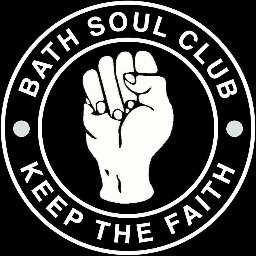 Thanks too for reminding me about 'With a Little Bit of Luck' - that tune will always link me to twerton Park, no matter what. Twerton Park Magic wrote: Thanks Beau Nash for this. I don't do Facebook but I think it's a nice suggestion to make. That's a great photo of a packed Twerton Park for that Newport F.A Cup game which I remember really well. The team coming onto the pitch led by Ian MacFarlane (captain) followed by Tony Gough and Mike Denton and behind him is Billy Horton. Denton's goal really was memorable scored at the Bath end to secure the famous win. Also that old tune 'With a little bit of Luck' blasting out over the tannoy in those days still sits with me as well and reminds me of some great games at TP in the 1960's......maybe we should try and get another copy and play it again now!! From Michael Denton Facebook: Rob, please thank all those at City for their thoughts and good wishes. It is very humbling to be remembered like this. Pauline is home now but faces a string of blood tests etc and has to enter hospital again on January 30 for another round of treatment.. Stuff like this means more than you can imagine to both of us. I wasn't at that game against County. I was in Bath city centre before the game and a coach full of their supporters passed by. They were all singing their heads off in the great Welsh tradition. I bet it was a much more quiet return trip!